Downtown Rome is located about 45 minutes from the Mediterranean Sea. Most tourist don’t typically think about a nice relaxing day on the beach when it come to this city, but it’s one of the great benefits to its location. Just hop the train at the Ostiense train station (located at the Piramide metro stop), and it’s a quick train ride to the beach. Vespas are one of the greatest things that are uniquely, and originally Italian. There are a few places where you can rent a Vespa by the hour of by the day. It’s an absolute blast! Most people are either intimidated by the complicated street pattern or by the daunting traffic itself. Either way, there is nothing like driving thru the streets of the eternal city on a Vespa. The best place I recommend to rent a Vespa is Bici & Baci. One of the best restaurants (or Cafés) in the city for people watching is Canova. It sits right at the mouth of the Piazza del Popolo, and in the late afternoon or evening an outside table is one of the best places to soak up down town Rome. It’s usually busy so get there by 4:00 PM to get a good table outside. They also have a restaurant inside the building, and a great place to eat after the sun goes down. Rome has a world class symphony and it’s one of the most overlooked wonders of the city. While walking the old world streets there is nothing better than capping it off with an evening of classical music. All symphonies operas, and ballets are shown at the Treatro dell’Opera. Check times, and book tickets several days before. It’s a great experience, one you’ll never forget. Looking for Family Fun? Try Las Vegas! Las Vegas is nothing like the image of old west-style debauchery people have come to associate it with. It is actually a very family-friendly city with plenty of wholesome activities for everyone. Here are a few examples of what you can do here. If you haven’t already heard, Britney Spears is scheduled to start a two yearlong stay at Planet Hollywood in Las Vegas beginning in December. While some of the opening concerts are already sold out, it should still be simple enough to acquire a few tickets. Furthermore, you can expect this presentation to be a truly unique experience. This particular theater has been modified to look like a nightclub, which features a range of special effects such as rain and snow. There’s nothing like a sea of countless twinkling Christmas lights to get everyone into the holiday mood. Fortunately, the Las Vegas Motor Speedway will be featuring millions of them throughout the holiday season. For a nominal cost, you can also choose to sponsor a particular light display. This event began on November 15 and continued until New Year’s. Have you ever wanted to experience the rush of sky diving, but didn’t feel comfortable taking the risk? At Vegas Indoor Skydiving, you can indulge your adventurous side in a safer, more controlled environment. You don’t have to leap from an airplane to do it, and it’s even an activity the kids can take part in. An ultra powerful air tunnel will hold you suspended in the air, allowing you to see what it’s truly like to fly. Best of all, it’s less expensive than the real deal! If you’re just looking for a great night out that everyone can enjoy, look no further than the Red Rock Casino. Despite its name, there is something here for both kids and adults alike. After having dinner at one of the restaurants, you can take the kids to see a movie at the on-site theater or engage in a family bowling game. If you and your significant other want a little time away from the kids, you can do that, too. Red Rock Casino features a child-friendly area that also doubles as a childcare center, allowing you and your special someone to enjoy quality time alone. 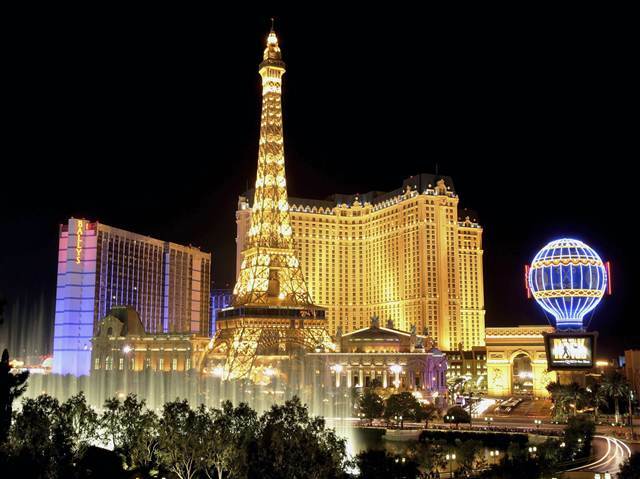 Las Vegas offers a large variety of things to do, places to see and places to stay. Sites like Gogobot allow you to read user reviews, which make it easy to see exactly what you’re getting yourself into! If you have something you enjoy doing in Las Vegas or Rome, please leave it in the comment section below.